Five reasons why you should choose our group classes! Obviously, learning with other people is a huge part of why group tuition is so popular. Being able to share your progress, engage in group speaking activities and help each other with in-lesson tasks is a fantastic motivator to language learning. Here at the MLC we are committed to making sure all our group students are comfortably placed in a group according to their own language ability, whether complete beginner or more advanced; this means there will never be people either too far ahead or too far behind. Everyone will be on the same level. Unlike many other schools, we use a unique mini-group lesson format. A class size of between 3 and 8 students is the perfect recipe to make sure everyone gets a chance to speak, without feeling that they are being put under any pressure. Most adult education institutions will have classes in excess of 10 people, meaning that some students are often overlooked, may not get personal attention, and may fall behind or not enjoy the language learning process. This is not the case at the Marlow Language Centre! In a recent feedback survey, over 95% of students said that they would recommend the MLC to their friends, family and colleagues. The reason for this is that we care about our students’ progress, participation and enjoyment in the language learning process. We always do our very best to maintain a friendly and open dialogue between our teachers, students and the management team. This ensures that you will always get the most out of your lessons. Our group classes allow you to meet a variety of local, like-minded language learners who are as committed to making progress as you are! The camaraderie of a shared class is one of the many boons of learning with others, and meeting new people will also allow you to converse and learn outside the classroom environment through language exchanges and get-togethers. 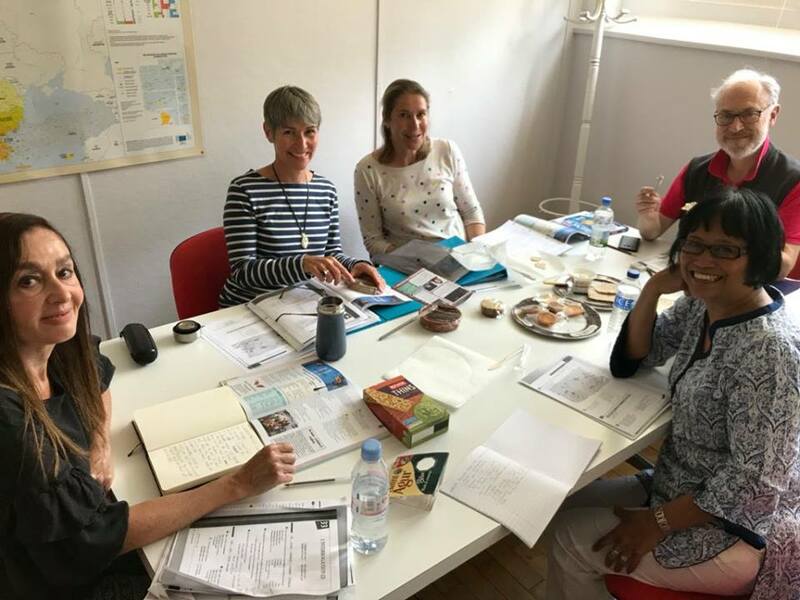 Whilst our bespoke one to one and one to two courses offer a great degree of individual attention and value, group tuition represents highly cost-effective language learning without compromising quality! In addition, our trial class format allows you to try the first lesson for a one-off payment of £22.50, without committing to the rest of the term if you’re not quite sure. There really is no reason not to give it a go! For more information on our pricing, visit our prices page. Our group classes run in conjunction with the school terms, meaning our new group classes will be commencing in September. If you want to sign up to one of the many languages we offer, at levels from complete beginner to upper intermediate and advanced, make sure to contact us to sign up for a trial class now!